These are going to be popular!! These devices are the new SONOFF touch panel switches, they replace standard light switches and work at 90VAC to 250VAC. I have nothing against SONOFF they have very nice ESP8266 equipped devices….. there is a larger issue out there….. Since these devices have no approvals, once installed all over your house these could turn into a fire trap, or maybe not… but when your house catches fire for any reason and the insurance company comes to investigate and these are found, your insurance is going to be denied. There is a reason you install known approved electrical devices in a home, mainly safety, but when that 1 in a million thing happens and someone is killed or the home burns due to a non-approved device… your out of luck at that point. There are many Youtube channels showing the issues with un-approved devices, both as a fire risk and risk to your own health, Youtubers such as Big Clive and AvE are well known for their tear downs and subsequent discovery of issues. Both gentleman have a deep respect for safety. So what’s you take on this, should we worry???? Devices like the Sonoff are designed to be built as cheaply as possible. Even so, I think they are a far better option compared to what I see the average hacker cobble together. Agreed, I can see Tims point however, they are acting as a professional company, and thus should probably act a little more professional, and not as “makery”. Yes once again, these devices and others from many Chinese manufacturers help maker make faster and cleaner. Hopefully makers understand the risks better of using such devices in their homes and around their families. The general public see the ROHS sticker and thinks they are covered… sadly this seems to play out time and time again. It’s only time before this hits the news big time and people become more aware…. 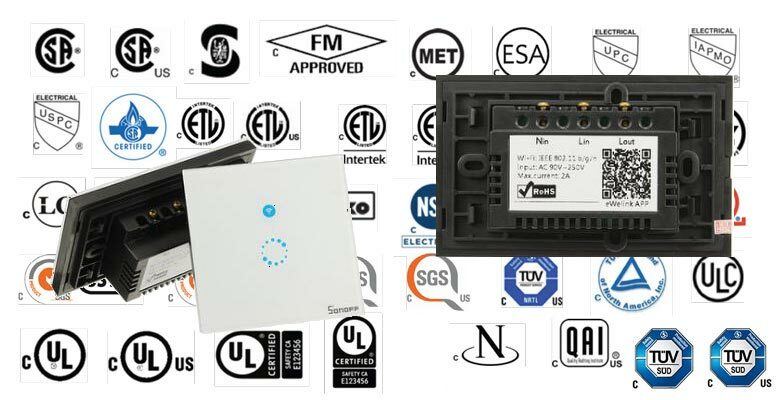 When is the last time you checked the UL/CE certification on a device? Quite a few of those labeled as such have no real certification. On the other hand, most hardware hackers have a better knowledge of basic electricity than average (many people wouldn’t even install a light switch without an electrician in any case). That’s why there was recent awareness of the relays on many imported devices breaking the neutral line, not the hot line. That in turn lead to the revision of many devices. So while there are issues, that’s not new or limited to Chinese devices, hobbyist oriented or not. Regardless of if the device is certified or not, I suspect you may also find that if an electrical device is installed in your home by someone who is not a qualified electrician, then your insurance company would also question a payout. I have heard of this also, in Canada they do give some latitude as to allowing simple switch and plug installs where existing ones were before. At least that gets you part of the way there, but still its a grey area… so yep… be warned.